Easy Fundraising! Proven fundraising! Perfect fundraiser for schools, teams or churches. Great coffee makes people happy! Certified Organic coffee including eco-friendly single serve for Kuerig K-Cup® brewers. No Minimums! With Nationwide Direct Delivery you can promote your online fundraiser by Twitter, Facebook, Instagram or email to friends and family across the U.S. Sell online, face-to-face, or both. Free Setup! Proven successful fundraiser idea! Packaged with your logo and message directly on every organic coffee fundraising package. Make your fundraiser truly unique! Download the PDF below. Not all coffee is created equal. 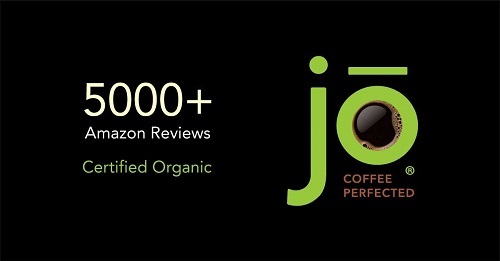 With over 5000+ positive coffee reviews, our Jo Coffee® brand is one of Amazon's highest rated certified organic coffee brands. In today's world, consumers not only vote with their wallet, but also with their online reviews. Consumers respond to high quality. Great coffee literally makes people happy and your fundraising customers will think of you and your fundraiser with every sip. With a Jo Coffee fundraiser there are no setup fees, no minimums and you get free Co-Branded custom packaging with your own logo and fundraiser theme message on each package. A coffee fundraiser is one of the most successful fundraising products ever! 86% of households already purchase coffee so sell something they actually desire. It's time to move beyond candy and cookies! USDA Certified Organic coffee is a healthy choice! Scientific study after study demonstrates the health benefits of pure clean coffee. 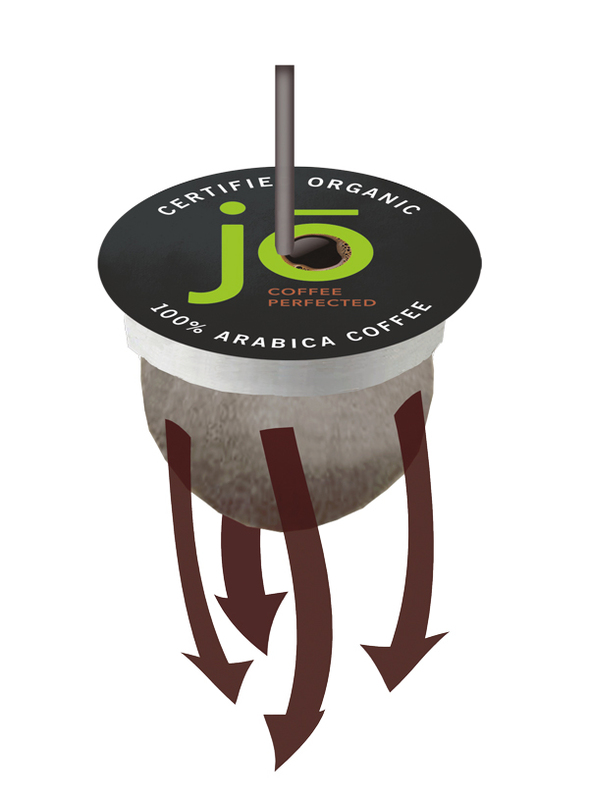 Our entire Jo Coffee® line is USDA Certified Organic and Certified Kosher. Fair Trade Certified coffee is also an ethical fundraiser choice! As you raise money for your civic fundraising cause, you will also help small coffee farmers, the farm workers, and the evironment at the same time. Every Purchase Matters! We offer 4 different, eco-friendly single serve for Keurig K-Cup® type brewers, including Keurig® 1.0 and the newest Keurig® 2.0 brewers. No plastic cups! In our filter cup technology, the coffee blooms providing far superior flavor extraction. Our eco-friendly filter cups are better for the environment with far less packaging waste. We offer 20 different Jo Coffee bagged (10 whole bean and 10 ground coffee) items and are USDA Certified Organic and Fair Trade Certified. These come in 12 oz. packages in whole bean or ground format including a very hard to find USDA Certified Organic decaf. No setup charges! An optional key feature of our Jo Coffee® Fundraisers is our ability to co-brand each of your coffee packages with your own logo and slogan. What a great way to add value and make your fundraiser coffee truly unique. Your customers and supporters will think of you with a smile with every sip they take! TRADITIONAL FUNDRAISING: Typical profit margin is 42% or $5.00 per package (Selling at $11.99/unit) for traditional face-to-face fundraiser campaigns, combining all your pre-orders for bulk production and delivery. No minimums required! Higher margins are possible since you can set higher a selling price, if you wish, for face-to-face traditional campaigns. ONLINE FUNDRAISING: In addition to always successful, traditional face-to-face campaigns, your members can also sell online. Traditional face-to-face campaigns are more profitable, but with Nationwide Direct Delivery, your team members can promote sales electronically to their own Facebook, Twitter, Instagram and Email personal contacts anywhere. Your team simply clicks, and we do all the work, by shipping directly to them. Online profit margins are lower (12%) since we pay for all shipping fees, shipping materials, and the special handling required. Online pricing is fixed. Promote online, face-to-face, or both. It is your choice! TRADITIONAL FUNDRAISING: For traditional face-to-face fundraiser campaigns, you will take pre-orders from your campaign customers and combine them to place your fundraiser order for bulk production. Once produced it will be shipped to one location in the mainland USA. ONLINE FUNDRAISING: For online fundraisers, your customer's orders are produced on order, then shipped directly to the customer with our Nationwide Direct Delivery program. Customer will use your unique fundraiser code during checkout to track your online fundraiser purchases. This delivery option also allows your campaign team to sell your fundraiser coffee directly to friends and family anywhere in the USA. Click Apply and we will email you the Jo Coffee Fundraising Program & Terms PDF without any obligation. Download the brochures below to share with your fundraiser decision team.